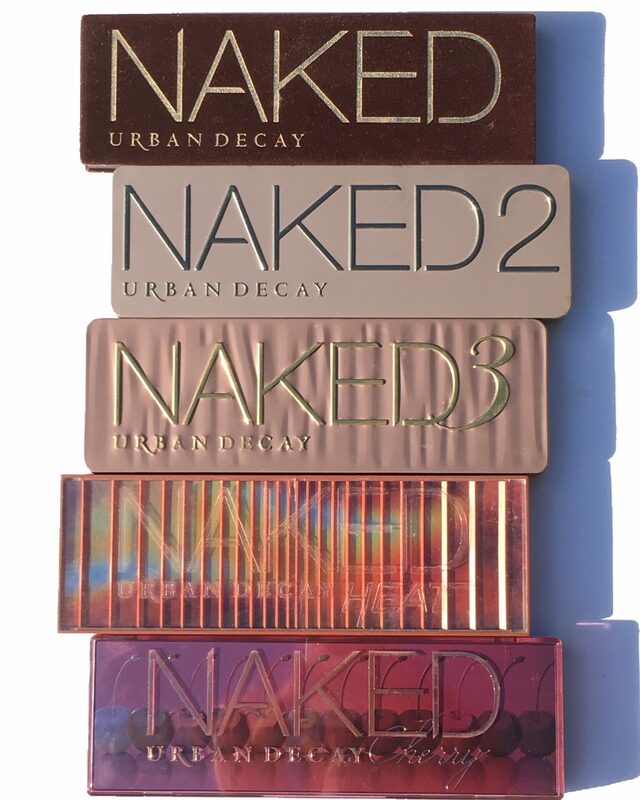 Last month, we said goodbye to the palette that started it all– the original Naked palette. 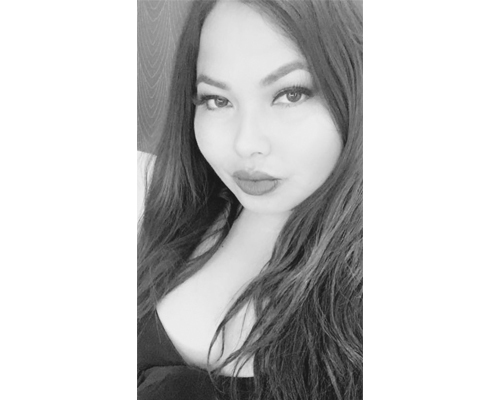 A proper funeral was held—Urban Decay style, of course, to commemorate the palette which was a game changer in the beauty industry. 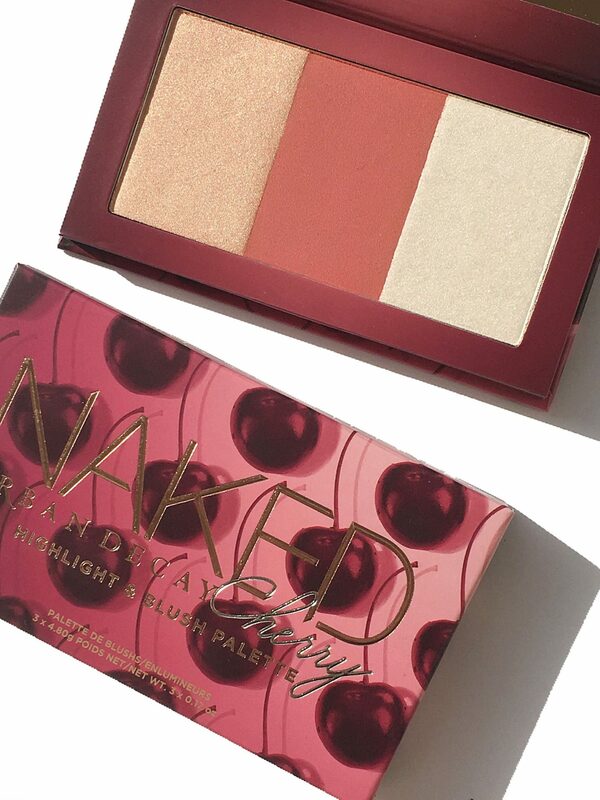 And just when we thought that Urban Decay had covered it all as far as the Naked palette theme, along came the *Naked Cherry Collection. The collection launches today at all major beauty retailers and this post will cover all the details, along with swatches of positively everything. I adore the cherry-hued color story of this collection. 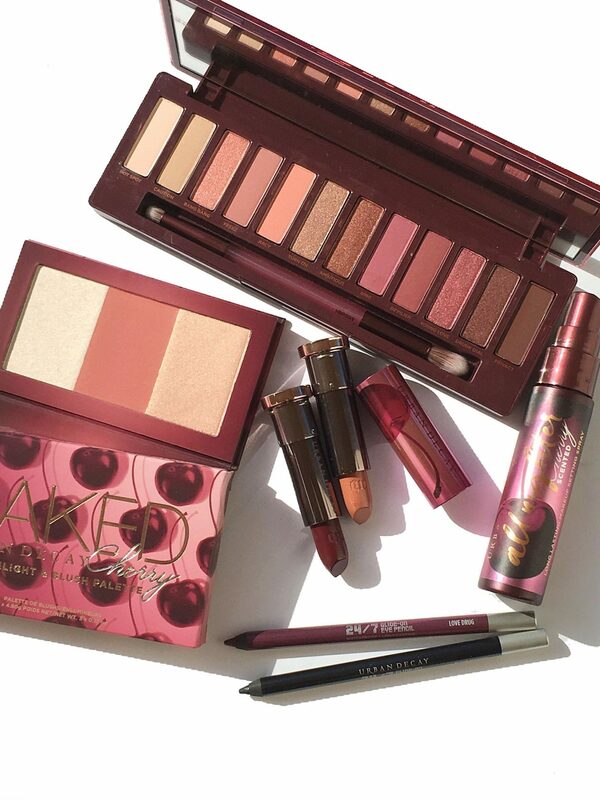 These crimson tones gives me all the Fall feels and the packaging is really something else. 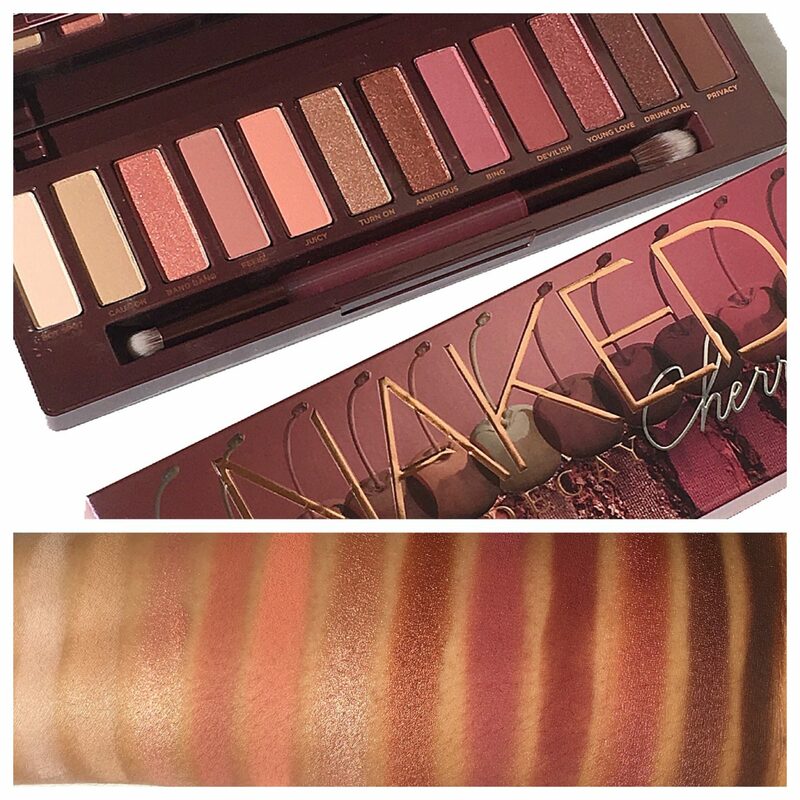 First up is the Naked Cherry Eyeshadow palette. It contains the perfect mix of berry tones for the Fall season. This crimson compact is adorned with a row of metallic cherries and includes a full sized mirror and double-sided rose color brush. The shadows are arranged from light to dark and include a range of finishes: soft mattes, shimmering coppers, and satin plums to burgundies. The shadows are velvety to the touch, have excellent pigmentation as well as staying power. 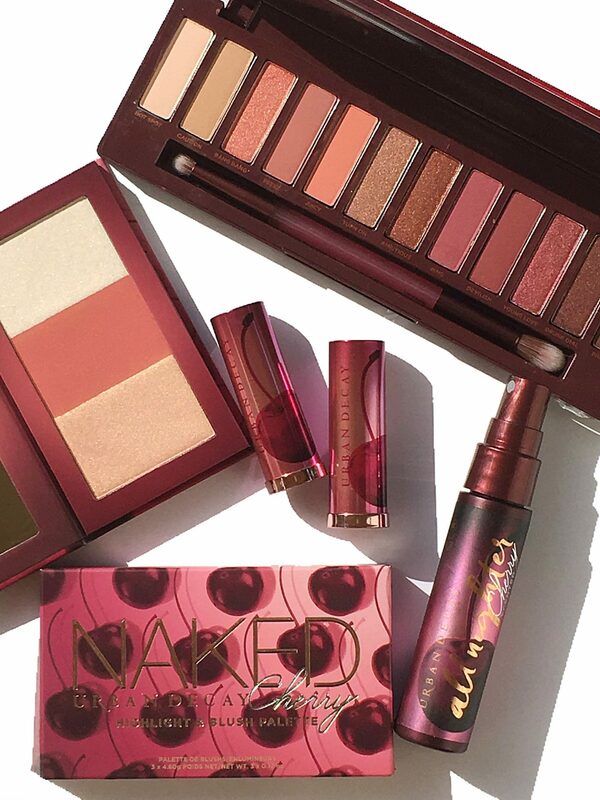 If you love berry tones, this is the palette for you. The color scheme is versatile for both day and night looks, whether you want a simple eye look or a more sultry one. Clearly, it’s another winner in my book. The collection would not be complete without Vice Lipsticks to complement the palette and there are three limited edition shades in this collection. I have two of the three to share with you today. Juicy is a light peach-pink with copper micro-shimmer; Cherry is a deep berry wine and Devilish is a berry pink with tonal micro-shimmer (not pictured) The Vice Lipstick formula is on par with the Vice Lipstick formula I’ve come to love—delightfully smooth and creamy with excellent staying power, reviewed previously here. 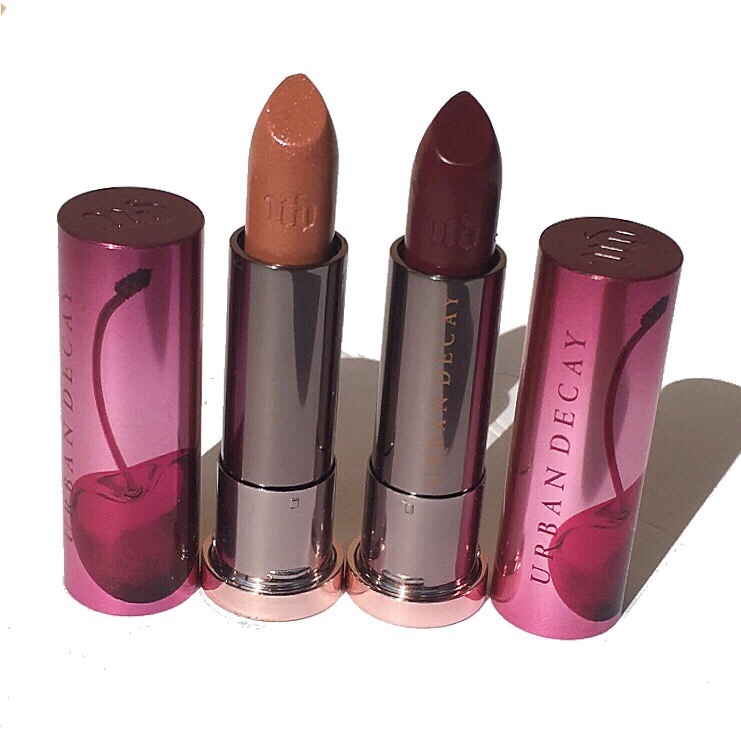 The ombre cherry packaging in this collection is seriously next level. It’s so aesthetically pleasing! There are two new 24/7 Glide on Eye Pencils that make a perfect pairing with the Naked Cherry Palette. You can use them to intensify your look or use it as base for your eyeshadow. 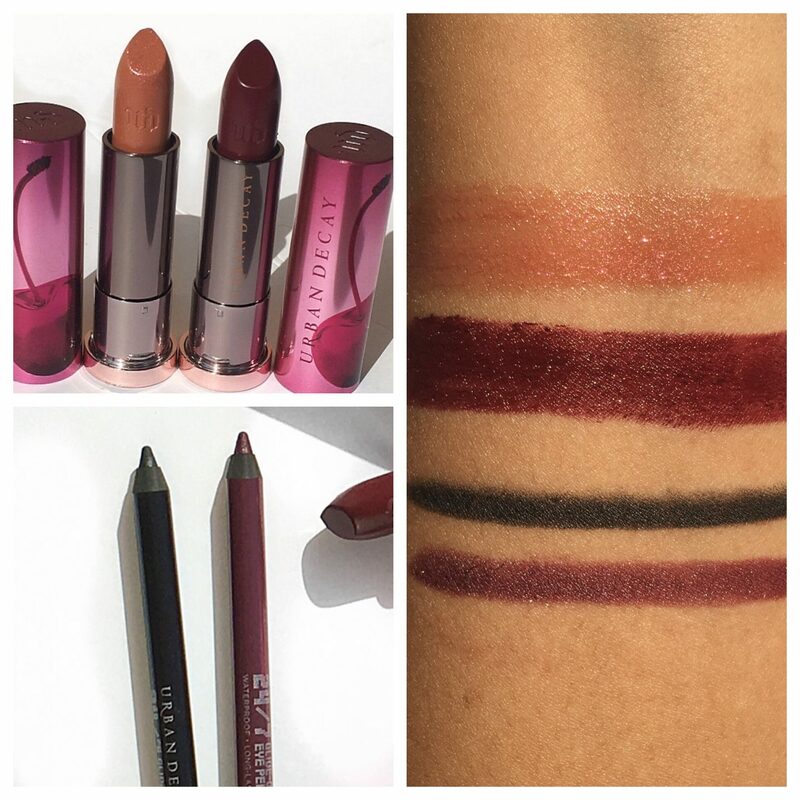 Black Market is a black satin and Love Drug is a deep wine metallic liner. A little bit about the formula–long wearing, waterproof and one of the best eye pencils on the market, in my humble opinion. The formula applies like a dream–it’s creamy when applied and will dry down to a finish that will NOT budge. 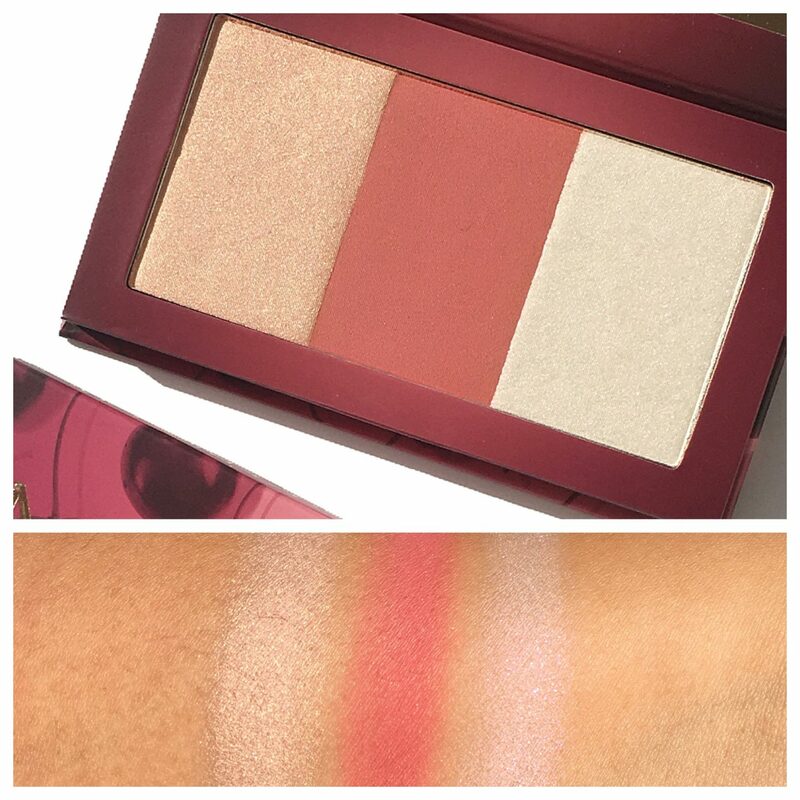 Additionally, the collection also includes the Naked Cherry Highlight and Blush Palette.It’s described as a sweet-and-tart trio that includes one highlighter, a universally-flattering blush, and a sophisticated, iridescent complexion topper that can be worn solo or as a shimmering overlay to add a luminous glow to any look.The colors swatched beautifully, and the far right shade has a beautiful multi-dimensional shift that I could not accurately capture with my lens. It’s a swoon worthy trio that I look forward to using this Fall. 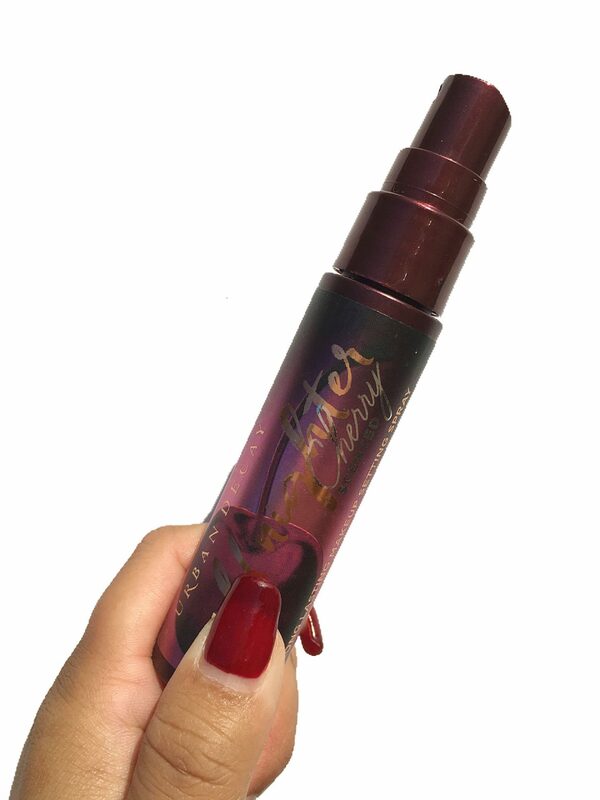 Last, but certainly not least, the Cherry Scented All Nighter Setting Spray. This cherry scented setting spray version is like the icing on the cake for this collection. It smells as delightfully sweet as its moniker implies and is not in any way overpowering. It’s such a delight to use and keeps my makeup fresh throughout the day. I’m already a huge fan of the original and was thrilled to see this limited edition version included in the collection. Bottom line, it’s love. 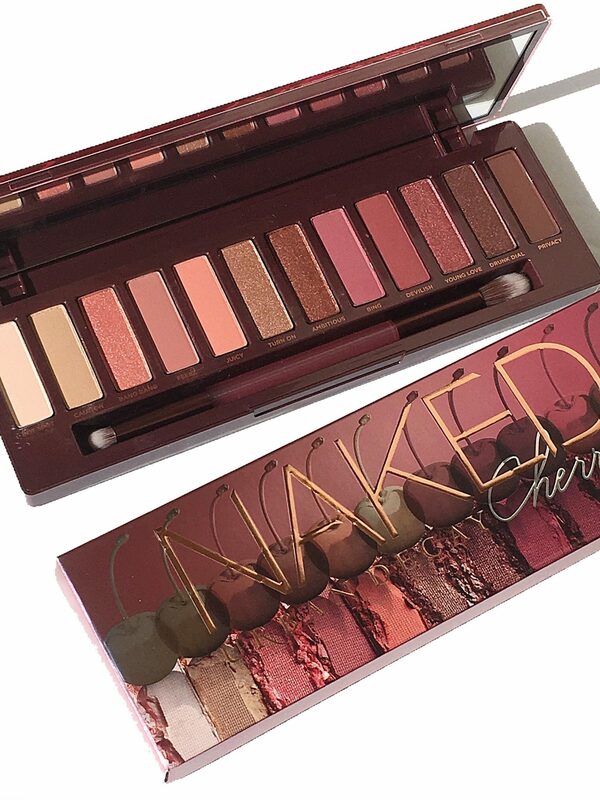 Kudos to Urban Decay for creating yet another amazing addition that I can add to my Naked Palette family. 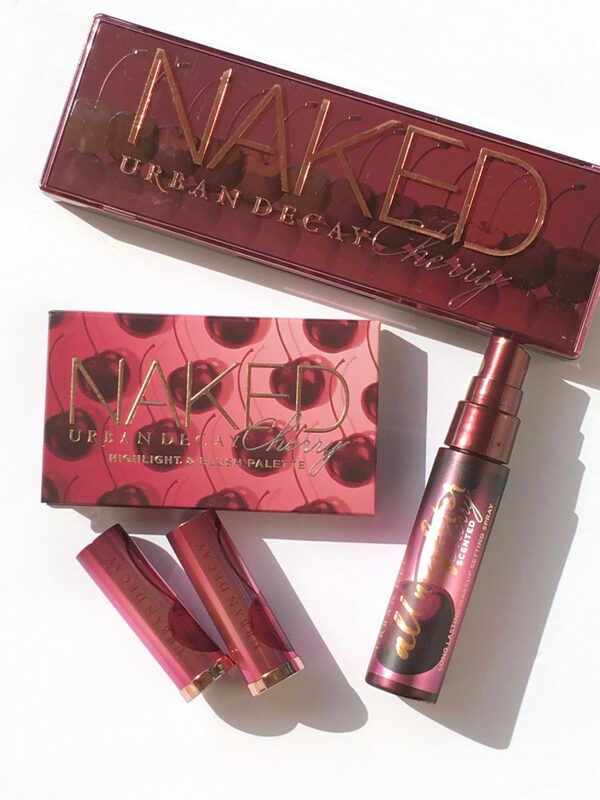 The Urban Decay Naked Cherry Collection is now available at Sephora, Ulta, Macy’s and the Urban Decay website. *Sample All opinions are honest and expressly my own. Some affiliate links may be used. Please read my disclosure on my home page for more details.